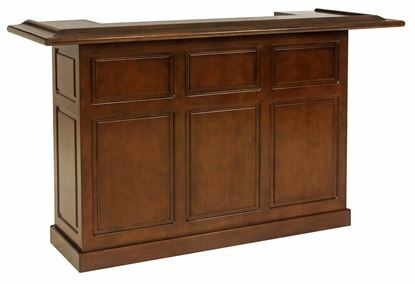 Designed in the tradition of fine cabinetry, this 72 inch bar will compliment any room in your home. This heritage bar holds everything you need for easy entertaining. Featuring built in shelving, dry sinks and a wine chiller for ultimate storage. The perfect entertaining solution for small spaces, this 48 inch folding bar is crafted just for you. 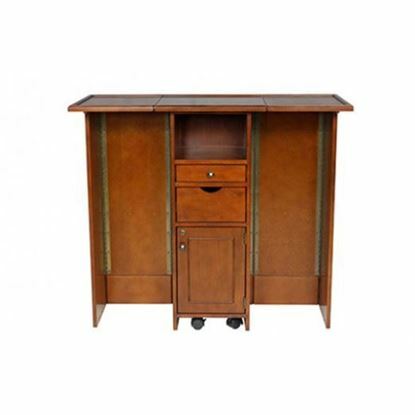 Entertain with this mobile free standing bar in any room in your home. Featuring plenty of storage and a locking cabinet for your spirits.